hd00:22Stunning aerial shot view of Dunure Castlem, South Ayrshire, Scotland. 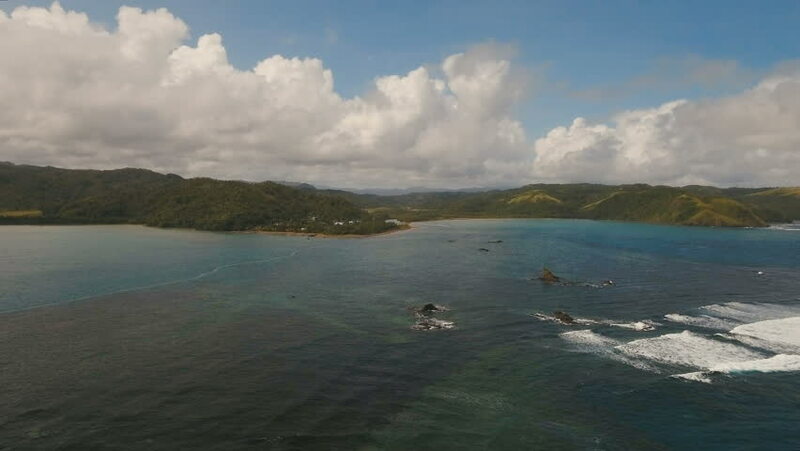 4k00:10The coast of the tropical island with the mountains and the rainforest on a background of ocean with big waves.Aerial view: sea and the tropical island with rocks, beach and waves. 4k00:18Aerial tracking up above an ancient rocky moor headland on the edge of the scottish north atlantic coast.